Set on landscaped gardens that stretch across 14 acres, Atlantica Aeneas Resort & Spa is a 5-star family-friendly resort a short walk from the gorgeous white sands of Nissi Beach, Ayia Napa. The hotel boasts one of the largest pools in Cyprus, complete with fountains and whirlpool baths, besides a separate splash pool for kids. The 294 rooms are spread across three floors, are spacious and several come with direct access to the swimming pool and Jacuzzi. 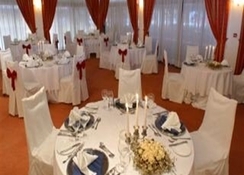 You can enjoy buffet as well as a la carte meals at the restaurants and spend time in a wide range of bars. When you're not relaxing by the pool, indulge in the exclusive surroundings with Ayia Napa's 14 Blue Flag beaches to explore. The Atlantica Aeneas Resort & Spa is a stone’s throw away from the beautiful Nissi beach. Larnaca International Airport is at a distance of 45 km. The sizzling resort of Ayia Napa, with a host of dining, clubbing and shopping options is 2.5 km from the resort, just two minutes’ drive from the atmospheric Ayia Napa. 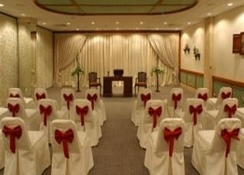 The three-storey hotel comprises of 294 rooms. Guests can pick from superior rooms, executive rooms, suites and family suites. The superior and executive rooms come with lounges and can accommodate up to four people. Family suites offer a living area with a sofa-bed and separate bathroom, while executive rooms offer direct access to the pool and some include private Jacuzzis. The twin standard rooms can accommodate up to three adults and feature balconies and terraces. Guests can choose to have their meals buffet-style at the Neptune Pool and Lavinia Restaurants or a la carte at Troy. There are several bars to choose from too, such as Plori Cocktail Bar, Papagaio Wet Bar, Iguassu Falls Pool Bar, Laguna Pool Bar and Hector's Pool Bar, where you can order some tasty snacks and tropical drinks. There’s lots to see and do at Atlantica Aeneas Resort & Spa, located just steps away from the white sands and crystal clear waters of Nissi Beach. The hotel has the island’s largest pool, where you can have fun with amazing fountains and experience exotic whirlpool baths. 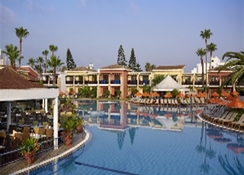 The pool is flanked by a sun terrace and dotted with sunbeds and parasols. There is a separate play area for children, which is equipped with its own pool. Guests can also indulge in mini golf, aqua aerobics and water polo. Check out the Health Club with an indoor swimming pool. Evenings are fun, with folk dancing and live shows. The hotel is suitable for wheelchair access.